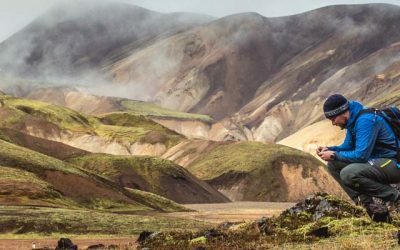 Hike the famous world famous Laugavegur trail from the geothermal wonderland of Landmannalaugar to the gentle birch forests of Þórsmörk. 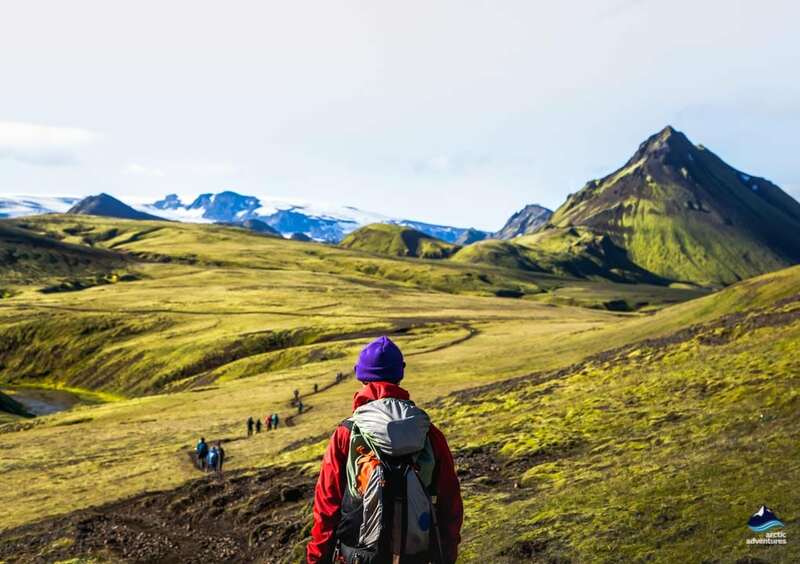 This stunning four-day trekking in Iceland tour is a truly great Iceland hike following an ancient pathway through some of the most amazing scenery on the planet! Accommodation is in tents. 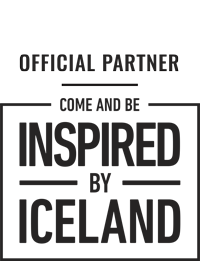 Your guide organizes the meals but assistance from participants is expected. You will meet people from all over the world – enjoy being part of the friendly team! 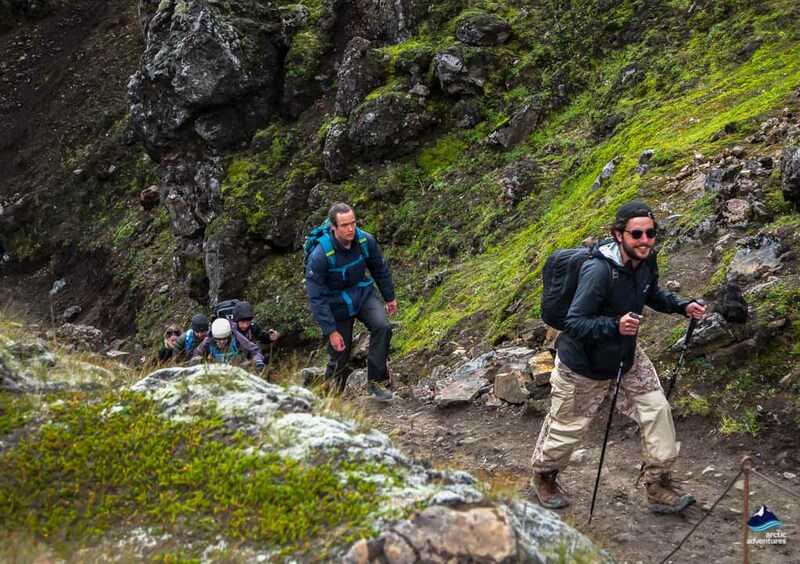 Your luggage is transported between the camping sites, so you can hike with just a light day pack. 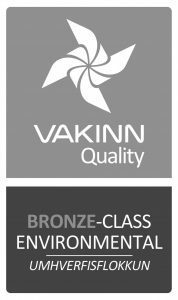 Accommodation and all meals are included, you can rest assured our knowledgeable guide will show you the very best spots and lead you safe and sound all the way. 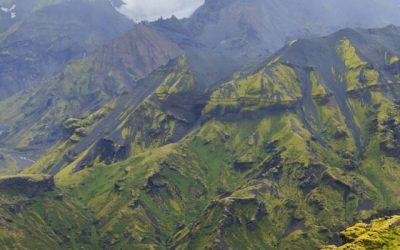 Laugavegur trek was chosen one of “20 Best Hikes in the world” by National Geographic. 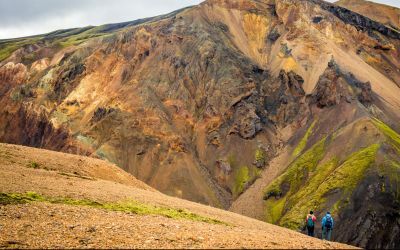 Day 1: We drive straight to Landmannalaugar arriving around 11:00 then set off on our hike through the stunning colors of the rhyolite mountains. 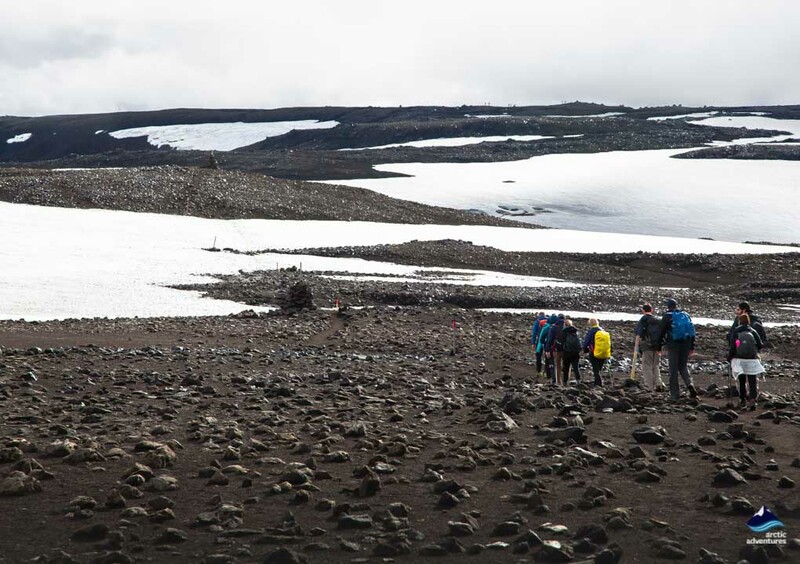 Trekking through the black obsidian desert of Hrafntinnusker, with high glaciers shimmering above us, will bring us to the camping ground. Hiking: 12km. 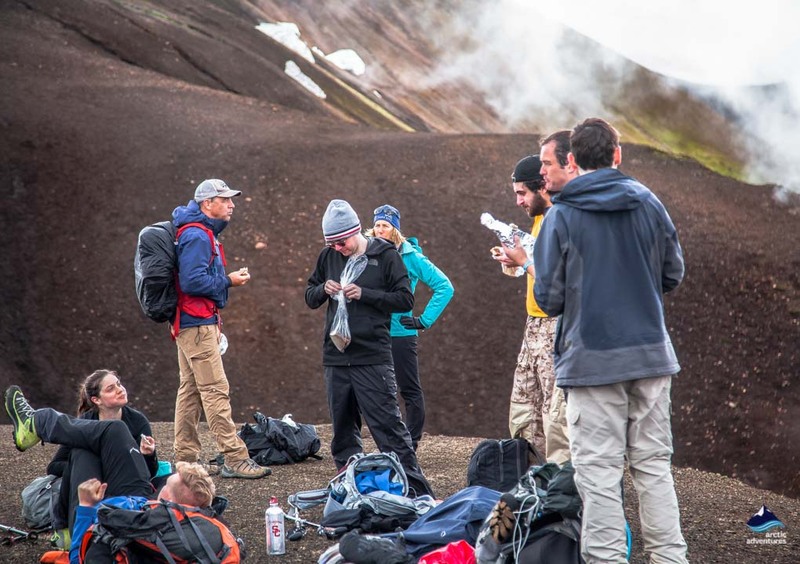 Day 2: Trekking Iceland does not get much better than this! 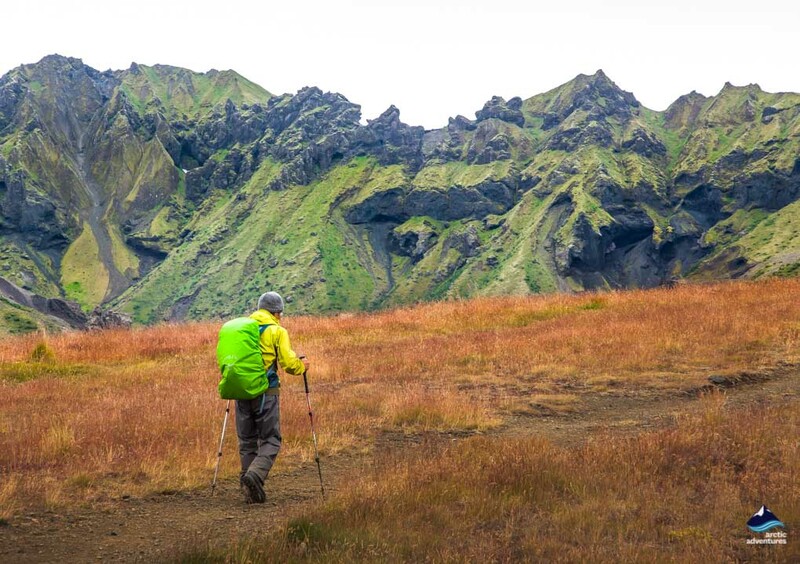 Hiking around the Reykjafjöll geothermal rhyolite mountains and Jökultungur peak gives incredible views over the Fjallabak area. 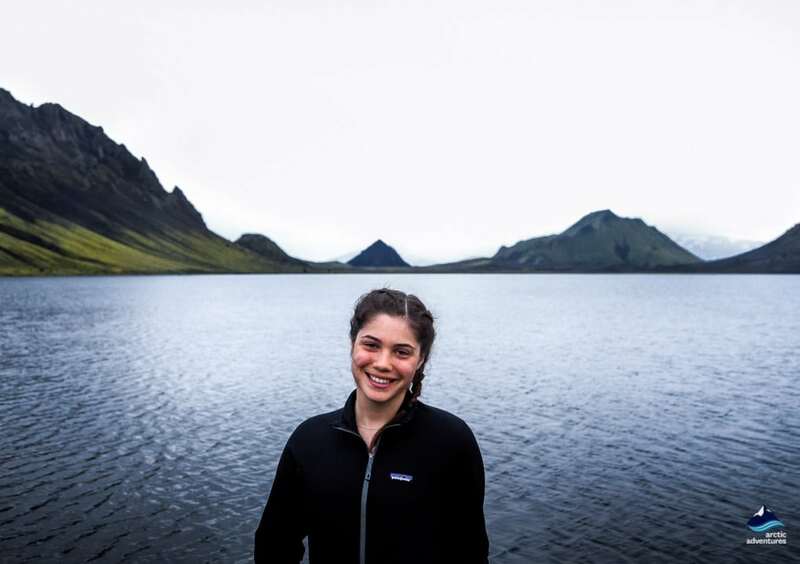 We will wade a river on the way to the camping ground near the lake at Álftavatn (Swan Lake)! Hiking 12 km. 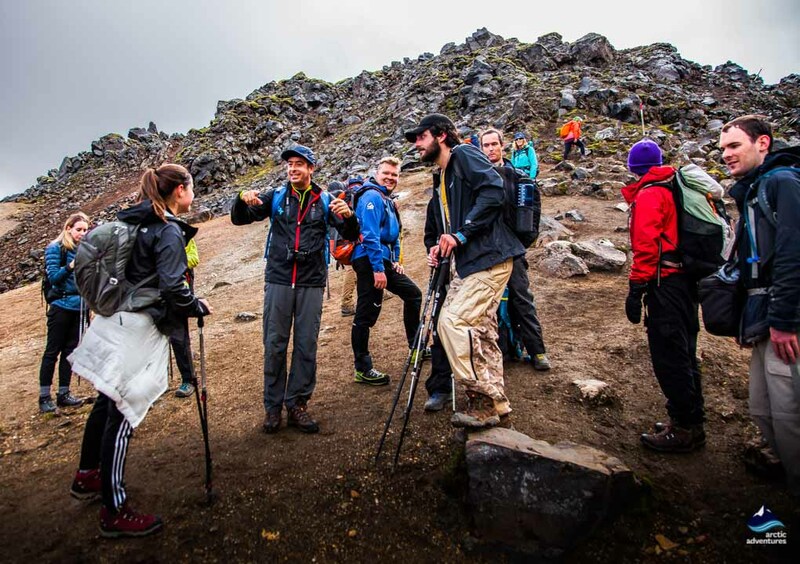 Day 3: Today your trek Iceland journey begins with a stream crossing as we head closer to some legendary volcanoes. 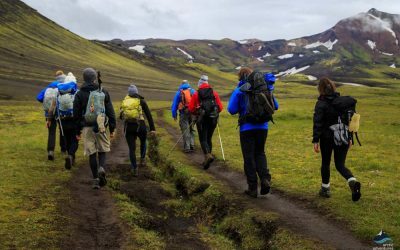 Hiking across Mælifellssandur, and passing the Stórasúla and Hattafell volcanos on the way to Emstrur, will, on a clear day, give outstanding views of the famous volcano mountain glaciers, Eyjafjallajökull and Mýrdalsjökull. 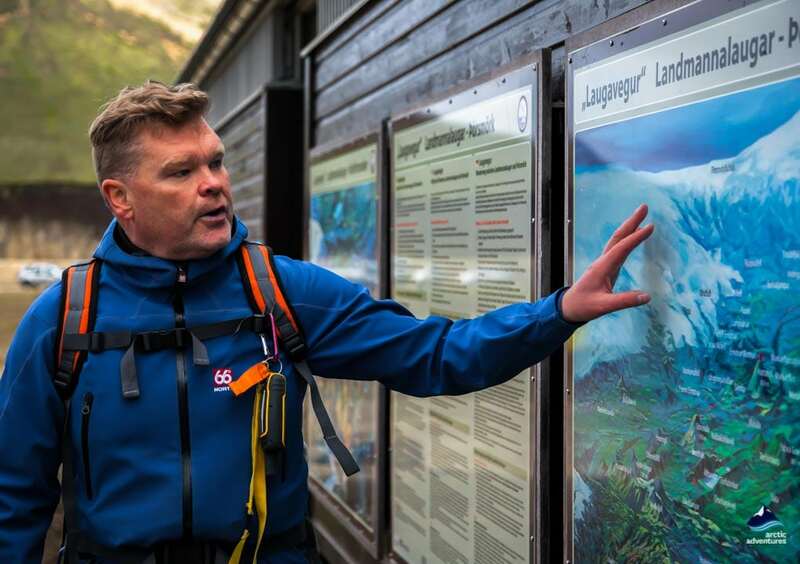 We will see Markarfljótsgljúfur, a 200 m deep canyon shaped by powerful glacier activity on our way to the camping ground. Hiking 15 km. 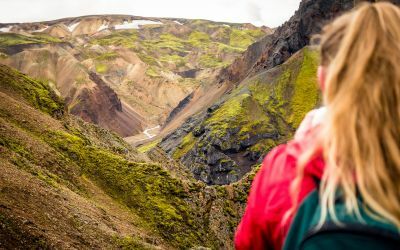 Day 4: We will complete the Laugavegur trail to Þórsmörk, stunning scenery will surround you throughout the day and you will not be far from the majestic glacial twins, Eyjafjallajökull and Mýrdalsjökull, with the famous Fimmvörðuháls (Fimmvorduhals) trail heading up between them. You will get great views all the way and see Mount Einhyrningur (Unicorn Mountain). Hiking 15 km. You are driven back to Reykjavík, arriving at around 21:30. 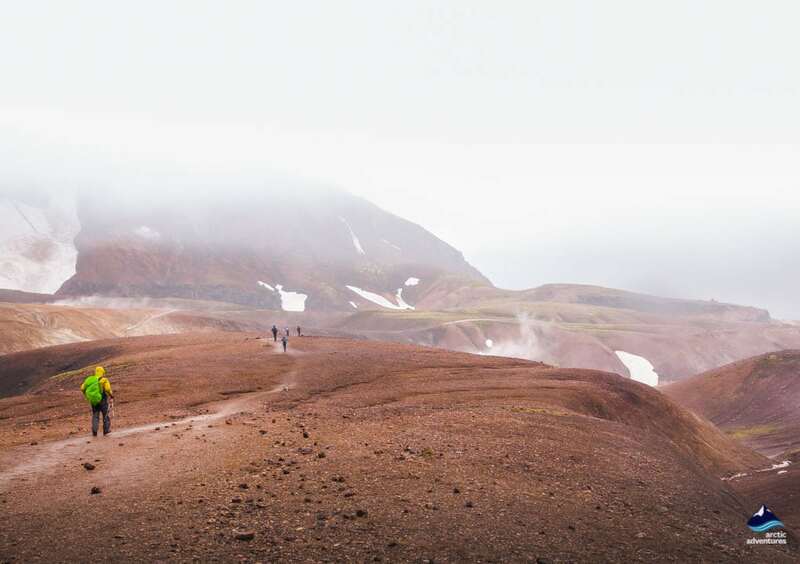 Hike the dream trail – today you trek Laugavegur! 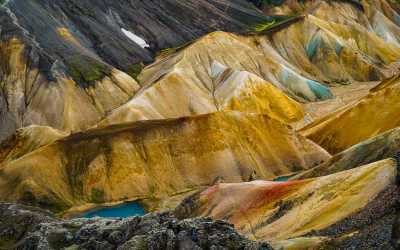 Today we hike through the geothermal wonders which make this area so remarkable, admiring the incredibly vibrant colors of the rhyolite mountains and the steaming hot springs. 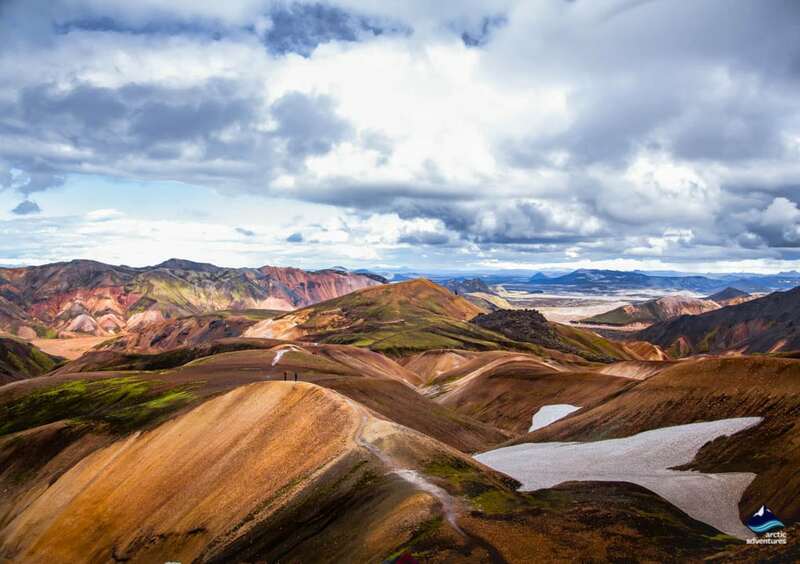 The sights include Mount Brennisteinsalda, the most colorful mountain in Iceland. 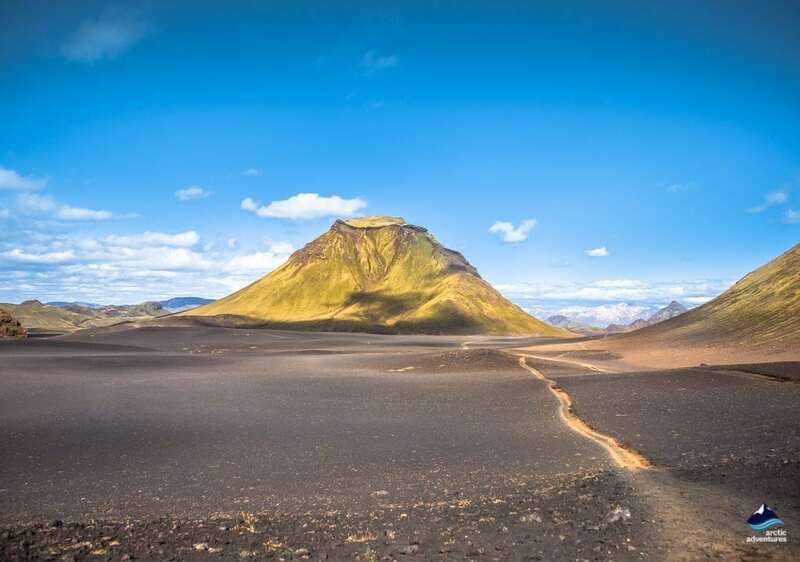 On the way to Hrafntinnusker where we will spend the first night, we will see the Stórihver (meaning large spring) hot spring before crossing over into the obsidian desert, the flinty raven blackness of this area inspired the name, Hrafntinnusker, in Icelandic Hrafn means raven. 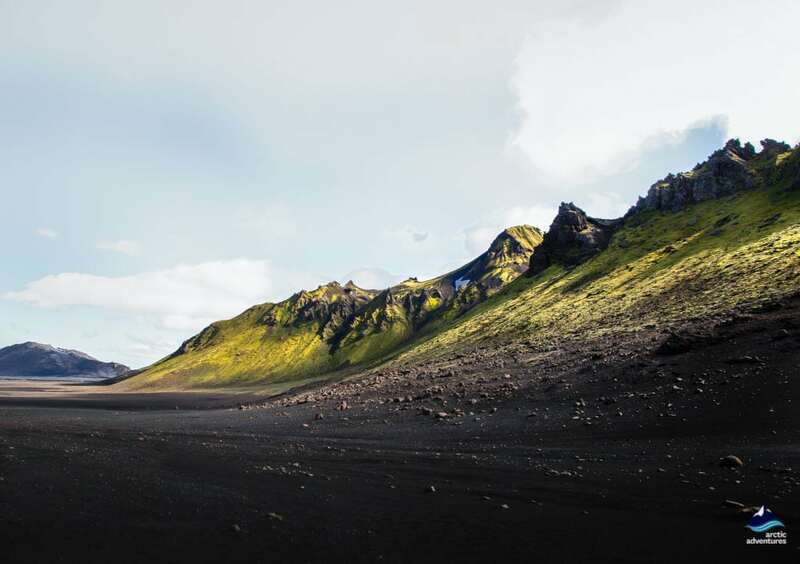 We will spend the night at a camping ground in this very remote and outstandingly beautiful area. We enjoy a delicious dinner in our kitchen tent, get to know one another better, and relax in the beauty and peace of nature. 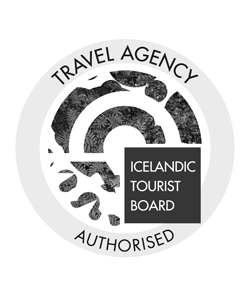 The vibrantly colored Reykjafjöll rhyolite mountains and the Jökultungur area are at the top of the agenda today. 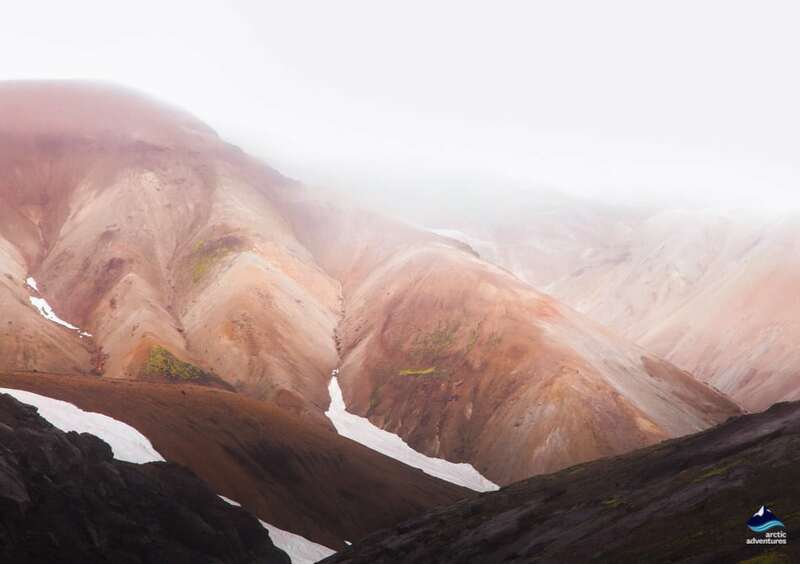 Geothermal activity has turned these craggy gullies into burnt, and sometimes vivid yellows and reds over time, these colors contrasting dramatically with the soft pale sand-toned peaks around them. 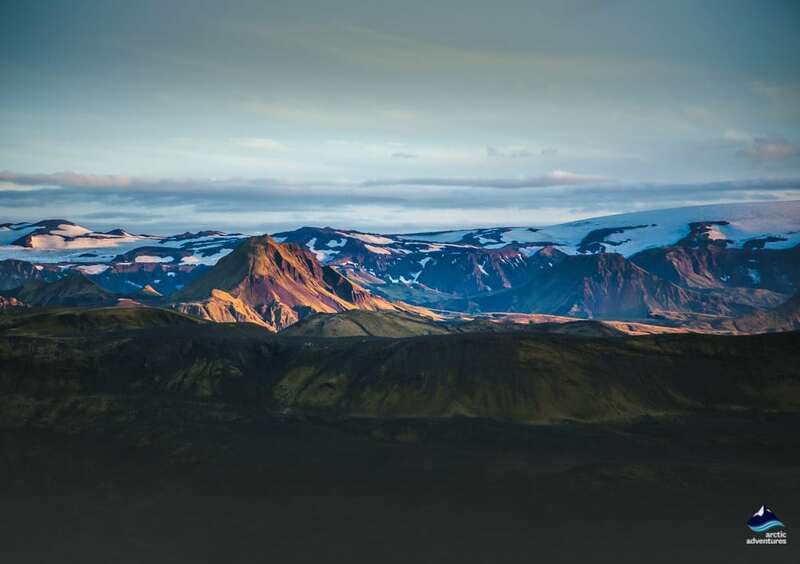 The top of Jökultungur is a marvelous place to enjoy stupendous views over the whole Fjallabak (behind the mountain) area and Álftavatn, the lake near the camping ground where we will spend the night. 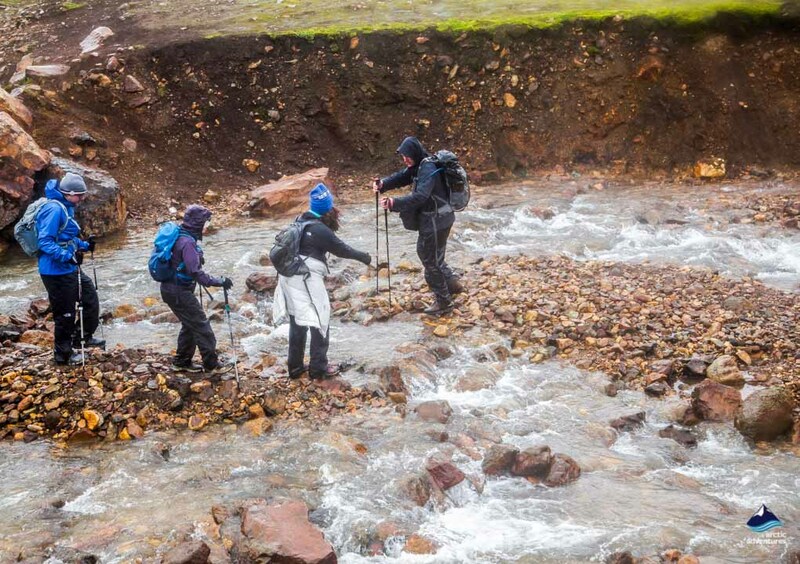 To get there we have to cross a river on foot, this is usually a very exciting experience for overseas hikers who have often never tried this. 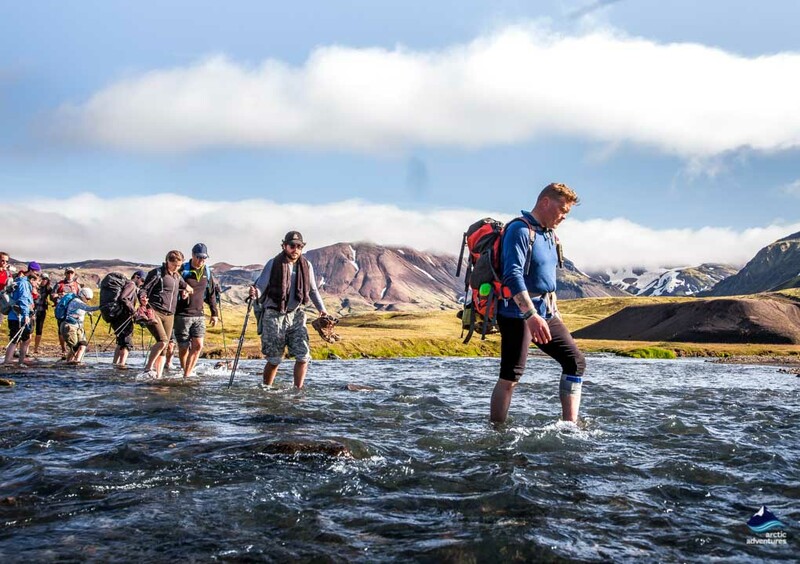 We begin by wading across another stream as we proceed onto Mælifellssandur and into volcano country. We will pass the Stórasúla and Hattafell volcanoes on our way to Emstrur. 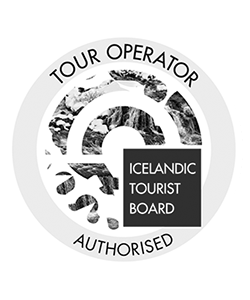 If you are lucky, and there is good visibility, there will be absolutely outstanding views of two very famous volcano mountain glaciers, Mýrdalsjökull and Eyjafjallajökull. 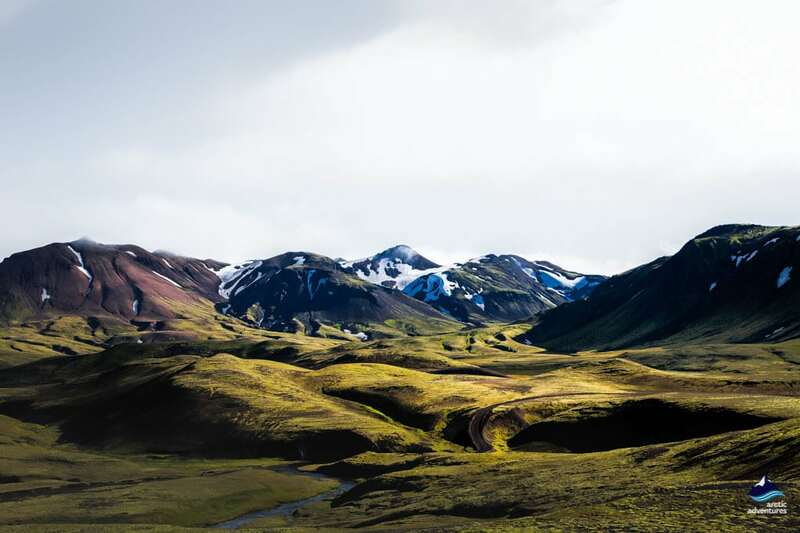 These ominous twins have delivered some awesome reminders of the power of nature, Eyjafjallajökull is the volcano whose eruptive power sent ash soaring to 30,000 ft severely disrupting air traffic in 2010, and Mýrdalsjökull shrouds the much feared and capricious Katla under its ice cap. 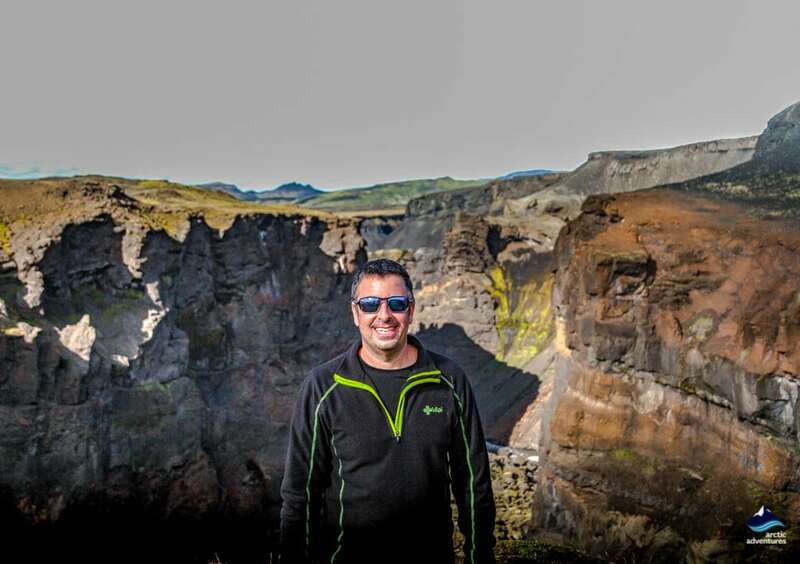 On our way to Botnar, a green oasis in the midst of a black sand desert area, we will see Markarfljótsgljúfur, a stunning 200 m deep canyon fashioned by a glacial river. Our camping ground is in this area.